Commitment to Your Privacy. Resilient Resources Inc. is committed to protecting your privacy. You can visit most pages on our site without giving us any information about yourself. But sometimes we do need information to provide services that you request. This document is designed to give a clear explanation of Resilient Resources Inc.’s data processing practices. Please see below for further information or if you have any questions or concerns relating to Resilient Resources Inc.’s site and/or data protection, please e-mail emilio@resilient.bz. 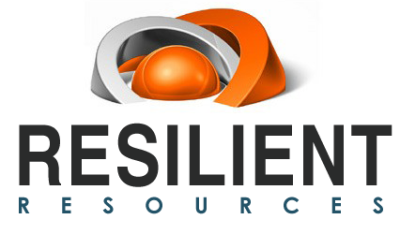 Resilient Resources Inc. is the sole owner of the information collected on this site. This information is used for the operation of the service, to maintain quality of the service, and to provide general statistics regarding use of Resilient Resources Inc.
Data Sharing. Unless you otherwise agree, the information you give us or that we collect about you will not be shared with any third party, except with those third parties providing services to us, and then only in the form of statistical information which has been aggregated with other user information for the purposes of our own website research and development in an effort to better serve your needs. We do not rent or sell our customer e-mail lists. Links to Other Web Sites. Resilient Resources Inc. contains some links to other sites. Please be aware that Resilient Resources Inc. is not responsible for the privacy practices of such other sites. This privacy statement applies solely to the information collected by Resilient Resources Inc. Contacting Terms. If you no longer wish to receive newsletters or promotional materials, you may opt-out of receiving these communications by following the unsubscribe method on the promotional piece or returning the item(s) to us with “unsubscribe” marked upon it. However, very occasionally, it may be necessary to send you important service announcements about a service you are receiving where such information is pertinent to the business we have agreed to conduct together. Correcting, Updating or Removing Your Personal Information. If your personal information is incorrect, changes or if you no longer wish to receive information from Resilient Resources Inc., we will endeavor to correct, update or remove your information as swiftly as possible. This can be done by emailing emilio@resilient.bz.